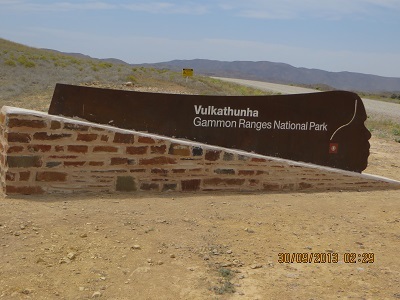 We have visited the Vulkathunha-Gammon Ranges National Park on previous occasions and have camped in the park using our camper trailer. 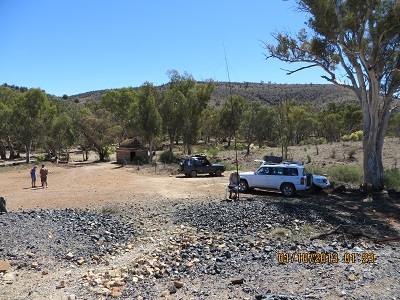 But this time we made our base the Arkaroola Private Wilderness Sanctuary, which is next door to the National Park. If you have not visited Arkaroola you should. 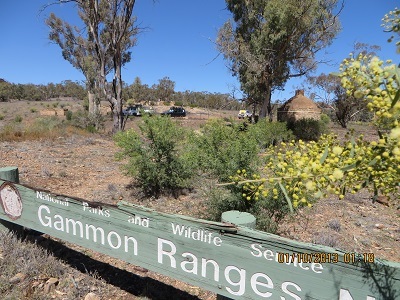 It is a great place and you can see the results of careful conservation work over a number of decades, especially in the care of the local flora. It is a large property. There are plenty of 4 x 4 tracks and lots of interesting places to see. We saw two Yellow-footed Rock Wallabies at the Arkaroola waterhole. There are also two astronomical observatories each beautifully equipped with 14 inch telescopes: see their web site for further details http://www.arkaroola.com.au/. And the Ridge Top Tour leaves people with enduring memories! It was also great to catch up with VK5HS, Ivan, who with his wife, were taking advantage of their one hour gift flight on the Bell helicopter. 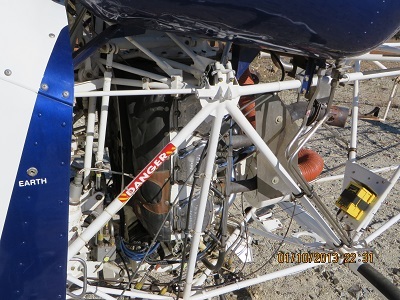 My first activation in the very extensive park was at Weetootla Gorge Camping Ground. It was blowing a gale and dusty and I thought I had found a relatively protected spot. I managed seven contacts before everything blew down or away: log sheets going in all directions! 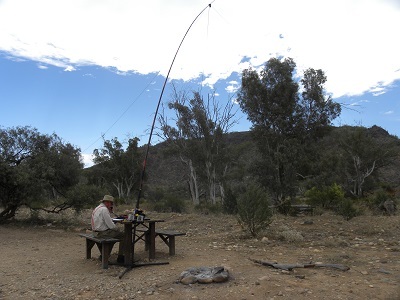 I had contacts with: VK5LY, Larry; VK5HS/m, Ivan; VK1NAM/p QRP, Andrew, on VK3 VN005; VK5PAS, Paul; VK2FALL, John; VK5NQP and VK5WG, Nev.
Tuesday was a great contrast with Monday: a warm and sunny day arrived and we drove the 4 x 4 track from Arkaroola to the park at Bolla Bollana, where the old copper smelter remains are just inside the park boundary. 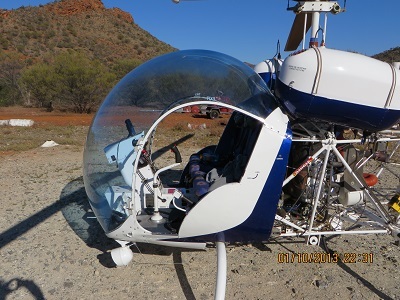 I enjoyed contacts with VK5PAS, Paul; VK5ATW, Trevor; VK5HS/m, Ivan on his way to Arkaroola for a helicopter ride; VK5KGP, Graham; VK5MBD, Bill and VK5HCF, Col: six contacts in all before the other vehicles arrived with their sightseeing passengers and the ignitions and refrigerators making a racket. I did promise three activations, the third planned for Wednesday and here is the reason why I didn’t keep my promise. A bus load of passengers arrived at Arkaroola including a 24 hour gastro bug. I succumbed! I was not happy. Twenty four hours may be a reasonable time for a younger person to overcome a 24 hour bug, but it took me more like 30!